After the resounding success of the New Year’s Day Winter Classic at Michigan Stadium between the Red Wings and the Maple Leafs, the NHL is setting up to do it all over again out on the west coast, this time in Dodger stadium. The match between the Los Angeles Kings and the Anaheim Ducks will be the first outdoor professional hockey game to be played west of the Mississippi River and will take place in Los Angeles on January 25th. On hand to lend a bit of color and respectability to the event will be retired hockey great Wayne Gretzky and the beloved voice of the Dodgers, the one and only Vin Scully who was also seen on TV this New Year’s Day as the Grand Master of the Rose Parade in Pasadena. The big match up in Michigan turned out to be a huge financial success for NHL and the league is hoping for a similar result in Los Angeles. 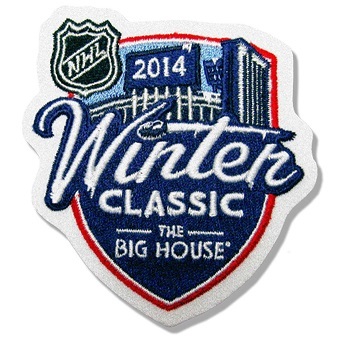 After all was said and done, the National Hockey League made a cool $20,000,000 off of the ‘Winter Classic’ at the ‘Big House’, not a bad afternoon’s work. The 105,491 fans, who were paying an average ticket price of $186 each, amounted to about $30 million in gross sales with about $10 million in expenses which left around $186 million for the league. Then there was an additional $10 million in revenue which came from retail and advertising sales. The outdoor NHL game will appear a bit unusual to most avid hockey fans who are not used to seeing palm trees and a beach volley ball court set up near the ice. But then the contest will be taking place in Southern California where most anything is possible. With the possibility of another big revenue day for the league on the table we should be expecting to see more of these outdoor ‘Winter Classics’ in the future. And why not when you consider that the average take on a regular season NHL game between two good teams may bring in $2 or even $3 for the league a $20,000,000 day will be hard for them to pass by in the future.